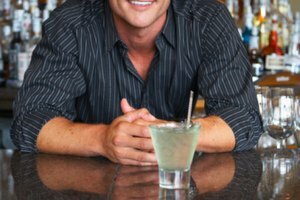 If you've sampled a cocktail or two in your time, chances are you've consumed bitters – the somewhat mysterious substance inside those small, medicinal-looking bottles behind every bar. The most famous brand, Angostura bitters, is recognizable with its white paper wrapper and yellow cap, but the craft cocktail movement has resulted in an ever-growing range of bitters available to creative mixologists at home and behind the bar. 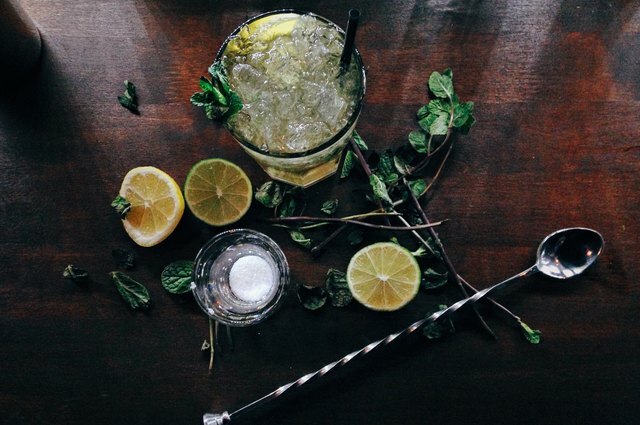 You don't need any kind of expertise to start incorporating bitters into your drinks. 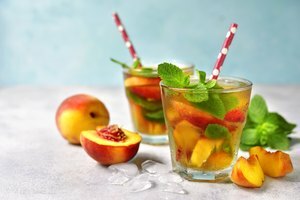 Pick up a few tempting flavors of bitters for doctoring up sodas and sours, and then move on to some time-tested classic cocktails, many of which count bitters among their key components. You'll quickly discover in your experiments that bitters are a vital element of many a well-balanced drink. For centuries before they became closely associated with cocktails, bitters were taken as a medicinal tonic. In fact, Angostura bitters was created by a doctor in 1824 as a stomach-settling medicine for soldiers. Even in contemporary times, the medicinal properties of many common bitters components, which include herbs, spices, barks and other botanicals, are well known. While it's a stretch to consider cocktails containing bitters good for your health, bitters heavily diluted with soda water are said (anecdotally) to aid with digestion. Adding a dash or more of bitters to soda water is also a great way to sample different flavors of bitters, which are too intensely bitter and dry to be enjoyable neat. 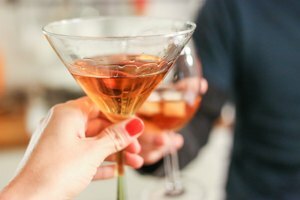 In addition to the best-known aromatic, orange and anise (as in the famous brand Peychaud's) varieties, flavors of bitters you might find include lavender (known for its calming effects), ginger (ditto for digestion), chocolate, grapefruit, coffee and cardamom. Soda water is an ideal vehicle for showcasing the bitters' specific flavors, but also try them in tonic water, lemon-lime soda, cola or lemonade. Venture into sours territory by adding fresh lemon or lime juice and discover how the bitters balance out sourness for a complex and refreshing taste. For an Angostura sour, shake bitters with lemon and lime juices, simple syrup and an egg white. A Trinidad sour skips the lime and adds orgeat (almond syrup) and rye whisky for a boozier concoction. Bitters are an ingredient in the original recipes of many classic cocktails, including the Manhattan, martini, old fashioned, negroni and Sazerac. Most recipes call for just a dash or two, yet this seemingly negligible amount of bitters works wonders for balancing sweet and sour flavors and creating a complex finish. The Manhattan, made of whisky (bourbon or rye) and vermouth; the old fashioned, comprising bourbon, sugar and a splash of water; and the martini, gin or vodka plus vermouth, all traditionally call for Angostura bitters. The famous New Orleans cocktail Sazerac calls for Peychaud's, and the negroni for orange bitters. You can of course veer away from tradition and substitute any kind of bitters you like, including combinations of two or more flavors. 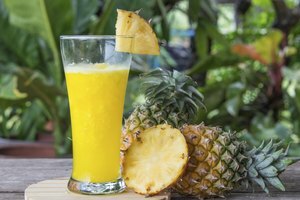 In tiki drinks – those fun, fruity cocktails presented amid tropical paraphernalia – bitters play the important role of offsetting sweetness, pulling fruit-filled and syrup-infused drinks back from the edge of cloying. 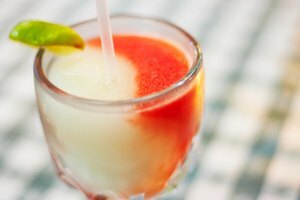 Bitters are used in a daiquiri at its most minimalist, made from white rum, fresh lime juice and simple syrup but often made fruity with strawberries, pineapple or bananas. You'll probably need to hit up a well-stocked liquor store – and look for new varieties of bitters while you're there – to make a test pilot, a frozen Don the Beachcomber concoction comprising white rum, orange liqueur, anise liqueur (such as Pernod), fresh lime juice and Falernum syrup. Also, stock your drinks cabinet in preparation for making a zombie, which features three kinds of rum, apricot brandy, pineapple, passion fruit, lime juices and grenadine. Tiki drinks tend to have a lot going on, but bitters are a key element that's fun for tinkering. Why not make an occasion of it and throw a luau? The Washington Post: Bitters Make Drinks Better. But Which Ones Do You Need to Buy?